In the typical list of hot tips from college counselors for crafting a winning college application essay, “Be likeable” is usually near the top. But it’s a fine line when you are basically writing a marketing piece trying to sell yourself to the college of your dreams. You feel the need to impress your colleges by describing your best achievements, qualities and talents, but one wrong word or phrase and you instantly sound like a braggart. No one likes a braggart, and even a whiff of entitlement or unchecked ego can send your essay into the “No” pile. The best way to avoid sounding like a braggart is to focus on what you did, how you did it and why, and not just on the fact that you did it. The trick is to highlight the quality behind your accomplishment, and then relay a specific example of how you developed that quality or furthered it somehow. My Jumpstart Guide and other posts on finding topics can help you with that approach. Another way to tip your tone from boastful to humble is to use the art of self-deprecation. An author and education expert named Jay Matthews recently wrote an article in his Washington Post blog about how the two presidential candidates wield this type of humor to come across as likable guys. Whether it’s getting people to vote for you or pick you for their college, being likable goes a long way. Matthews urges college-bound students to try this technique in college admissions essays to create the same effect. Note he cautions against using it more than once in a single essay. Dangerfield’s assaults on himself were often too raw for 21st century sensibilities. Romney and Obama enlisted some of the best comedy writers in America. Their words were gentler and more subtle. That is what you want in an application to an Ivy-covered institution that values manners and understatement. Romney lampooned himself while describing his debate preparation. The point is you don’t have to try to be funny. Instead, when you make a point about something impressive, present it in a way that shows you also understand it doesn’t make you better than anyone else and that you know you are also fallible. In other words, feel free to poke fun at yourself. For some reason, we will then trust that you are not full of yourself, and that we just might like you! “Think of something you might boast about and turn it into an entertaining flaw. Applicants who take this approach sound like braggarts. Instead, recall a moment in that same hospital when you weren’t smart: “In one instance I was so clumsy I almost disconnected an intravenous drip. I have discovered that many people, particularly among those applying to selective colleges, are incapable of writing anything self-deprecating. That is why the admissions officer reading your essay is going to be so pleased. What kind of person would you want as a roommate, a self-important tool or a modest raconteur? Admissions officers have the same thought. Like Matthews said in his article, a little goes a long way. 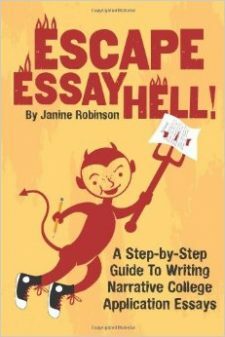 Have a parents, teacher or counselor read your essay to help make sure you hit the right tone. Give it a try. Probably better to come across as too humble than too proud. Should You Include an Activity Sheet? Quite possibly, YES! This blog is so much help! Can I send you my essay and receive your feedback? Alright, thank you! I was also wondering which of your posts in your opinion would be most helpful with writing the UC Freshman applicant prompt? As a student who is applying to the University of California this coming Fall, I feel thankful for all of the support you provide in your blogs. I will write the best personal statement ever! I can’t thank you enough. Hi I’m a little hesitant about using self deception in my personal statement because on one of the UC prompt tip sheets they noted that they don’t like the use of sarcasm. I feel like self deception is very close to sarcasm. Can you differentiate between the two for me?